Corin Hewitt, Seed Stage [installation view], 2008-2009. Corin Hewitt's residency inside his Seed Stage installation at the Whitney ended yesterday. Hewitt's project involved "cooking, sculpting, heating and cooling, casting, canning, eating, and photographing both organic and inorganic materials," as the press release elegantly put it. Standing on the first floor of the museum, the space smelled even more delicious than normal. (The Whitney's restaurant, Sarabeth's, is right underneath the floor there.) An artist and food in a gallery space immediately recalls Tiravanija and Sarabia, but there's nothing relational or service-oriented here. Housed inside four white walls with openings at each corner (only two of which allowed you fully to see Hewitt at work), the work suggested a two-way Étant donnés. The viewer's ability to see the art production was continually frustrated by the limited viewing spaces and lines of sight. How long was it acceptable to block the viewing area and stare at the artist? Sustained voyeurism became slightly uncomfortable, though I may just be more uptight than most. 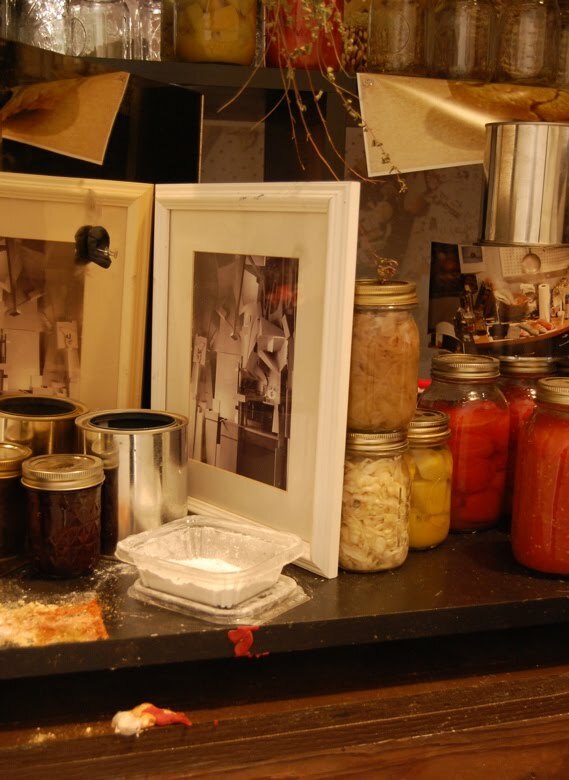 The Whitney should do more of these brief projects: visitors seemed to be enjoying it and the web site for the show is pure class, containing quite a few of Hewitt's still-life photographs along with other documentation. Taxter & Spengemann wins again.